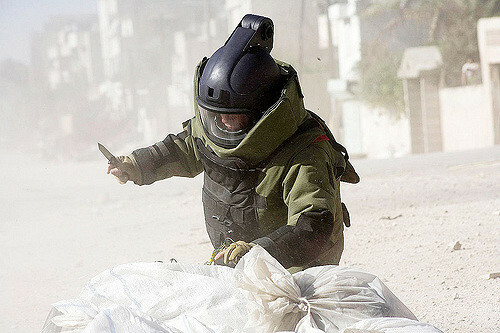 Improvising at a bomb site comes easily, according to this ordnance officer. The winners are those who adapt the fastest in a deadly battle of wits. 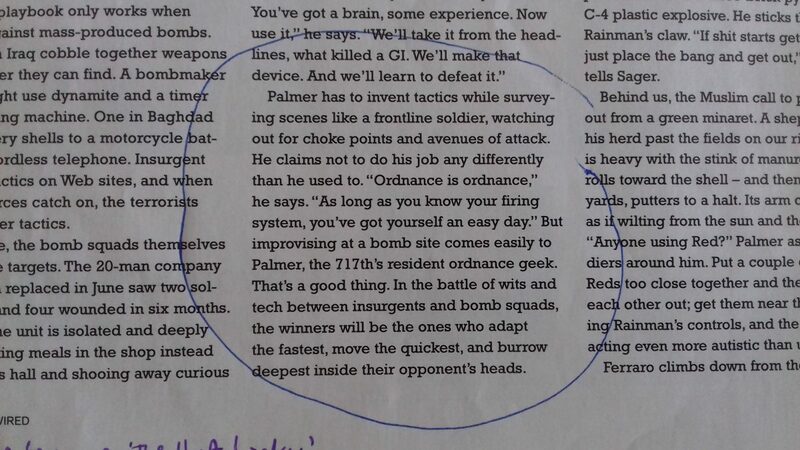 I guess this article from Wired magazine in 2005 was one of the inspirations for the Oscar-winning film, The Hurt Locker.